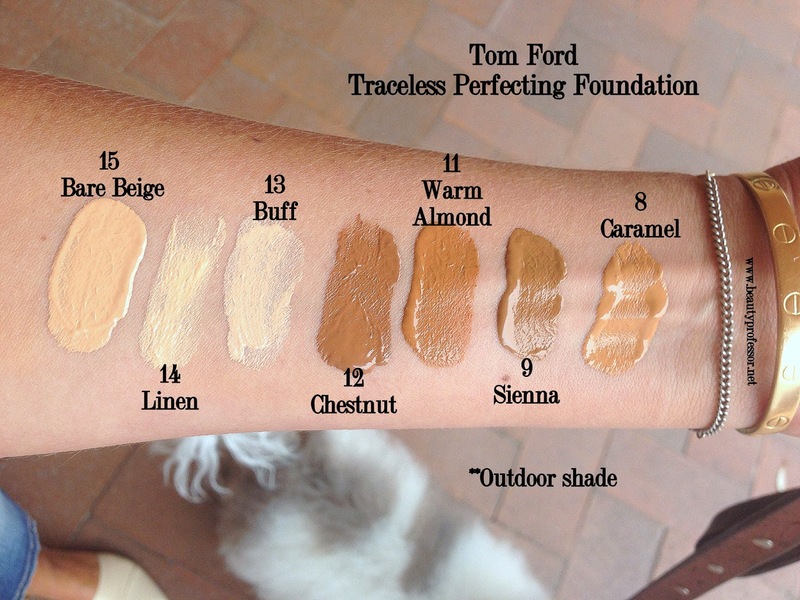 Tom Ford Traceless Perfecting Foundation...Swatches of All 15 Shades! 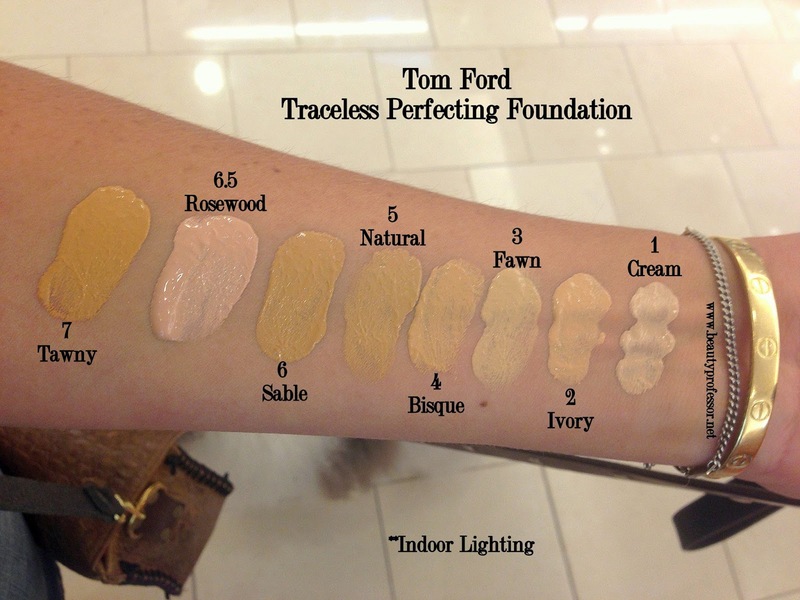 Above: The freshly released Tom Ford Traceless Perfecting Foundation...long wearing, medium to full coverage and a natural finish...magnifique! 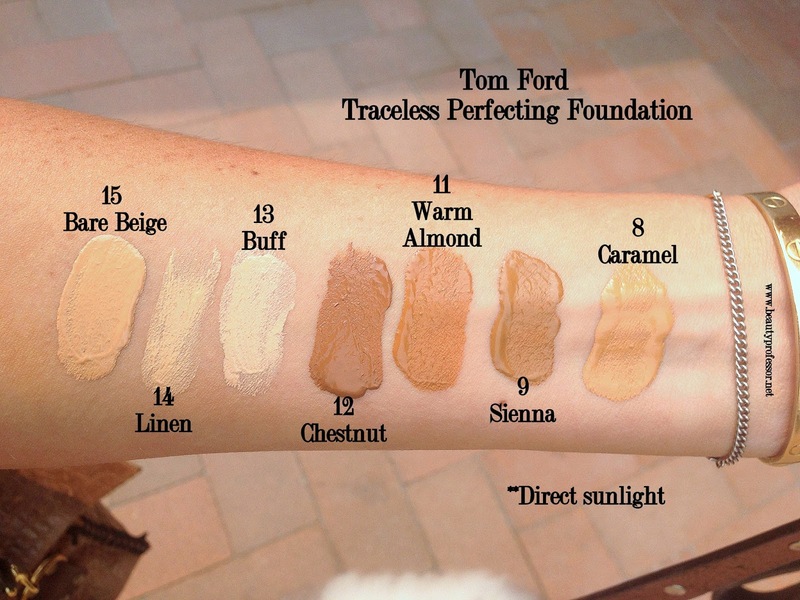 As a foundation devotee, I have been eagerly anticipating the release of the latest Tom Ford foundation formula, the Traceless Perfecting Foundation (currently available at Neiman Marcus, Nordstrom and Bergdorf Goodman). 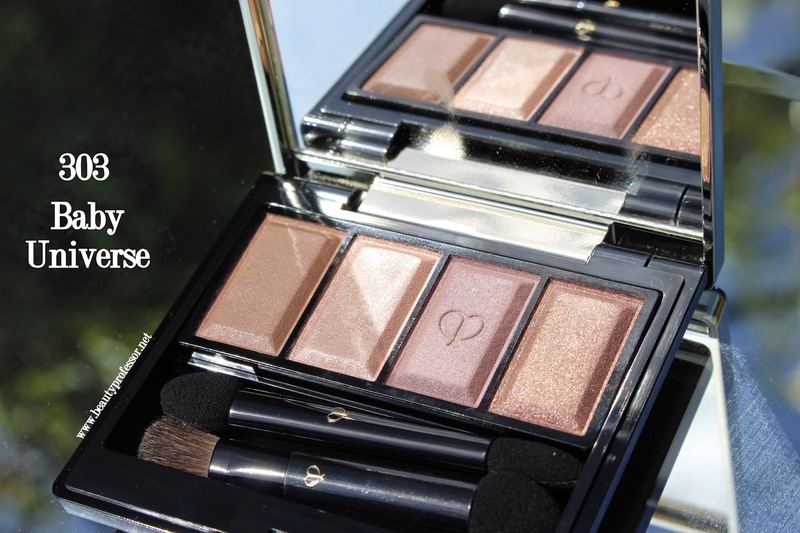 Up until yesterday, I had only read online murmurings of this formula, which purports long wearing medium to full coverage with a natural finish and comes in a revolutionary airless pump. 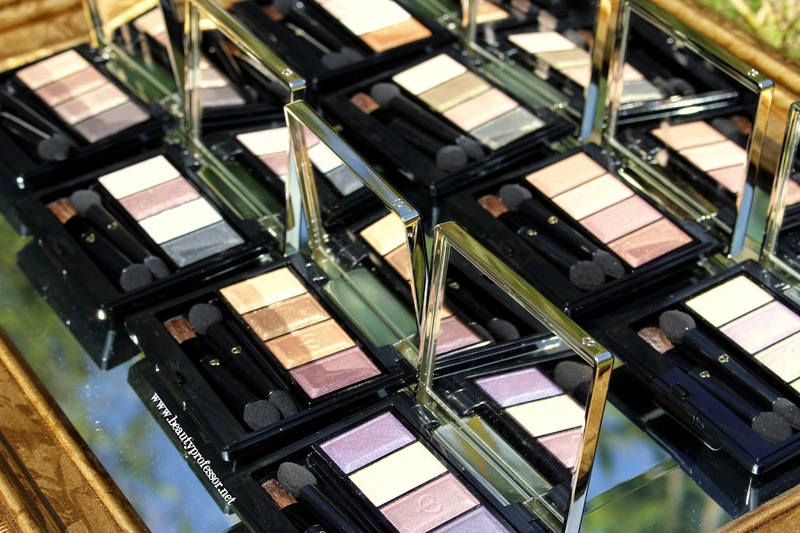 Imagine my unfettered delight in discovering that Neiman Marcus Fashion Island (where I was commiserating with Sabrina of The Beauty Look Book for lunch + a beauty-drenched afternoon) had just received its shipment minutes prior to our arrival! Of course, I picked up a bottle (enabling a comprehensive future review) and will share my initial impressions in this post. Above: The lovely Sabrina of The Beauty Look Book and me following our time at Neiman Marcus. 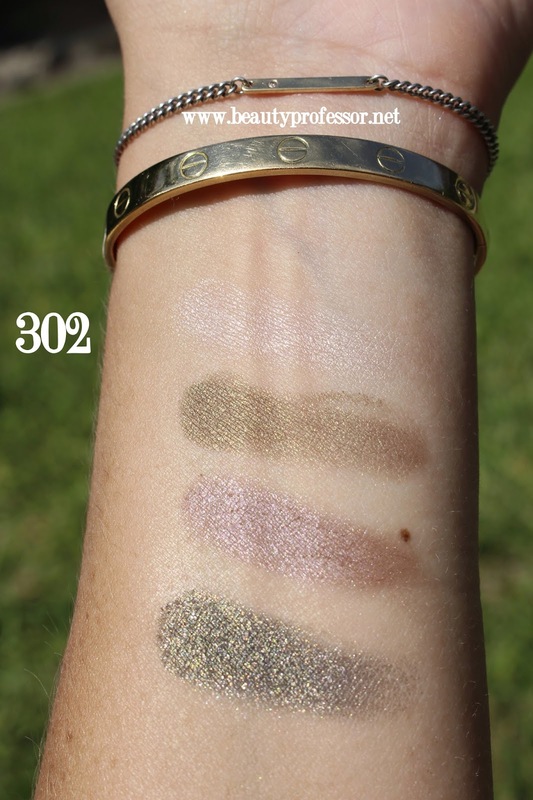 The shades are both numbered and named, but, unlike the ordering of the original TF Traceless Liquid Foundation and TF Traceless Foundation Stick (fully swatched HERE), the numbers do not correspond with a "lightest to darkest" schema. 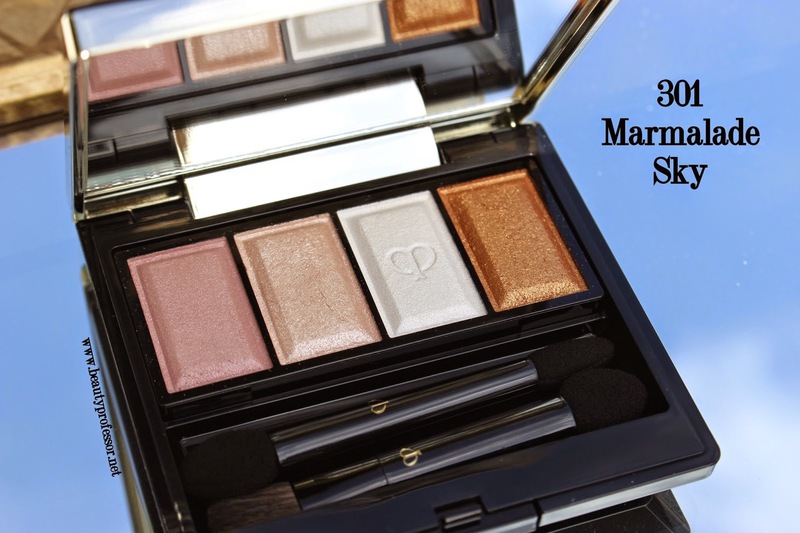 Although there is some correlation between formulas (e.g., I wear #5 Natural in the stick--swatched and reviewed HERE; swatches of ALL shades of the stick HERE--and picked up #5 Natural in the Traceless Perfecting), it is not, in anyway, exact. More on this towards the end of my post. 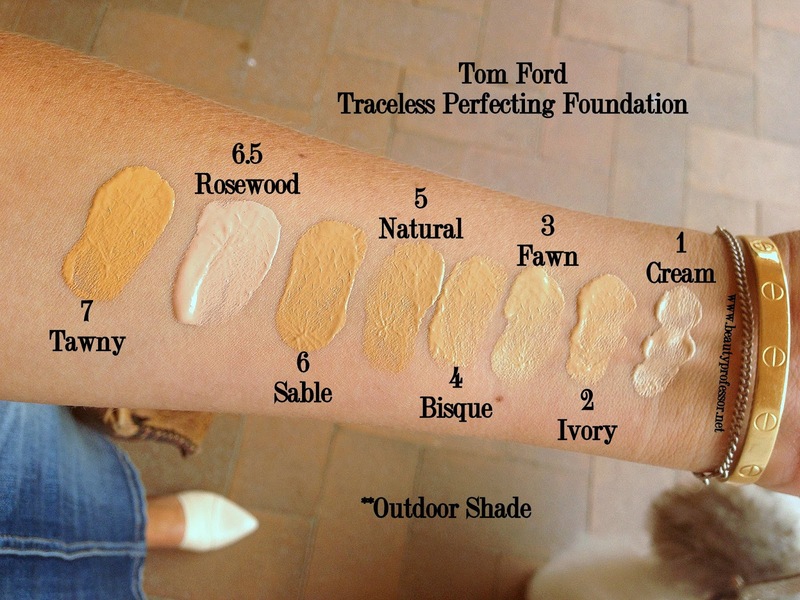 Texturally, the foundation is much more dense than the original Traceless SPF 15 formula and this viscosity yields significantly greater coverage (medium to full) that still looks very believable and not "made-up." Once applied, the foundation takes on a natural matte finish...the skin looks incredibly perfected, yet entirely natural, with a single application. I tested out its purported long-wearing capabilities today...it's sunny, 100+ degrees and extremely humid in Southern CA today and I am on hour #7 of wear as I type this. My skin hasn't required a touchup (no sliding, creasing or pooling into pores) and looks only slightly glowy. Impressive. Even though it is thicker in texture than the original Traceless formula, my skin still feels like it can breathe...the formula doesn't feel heavy or greasy whatsoever. 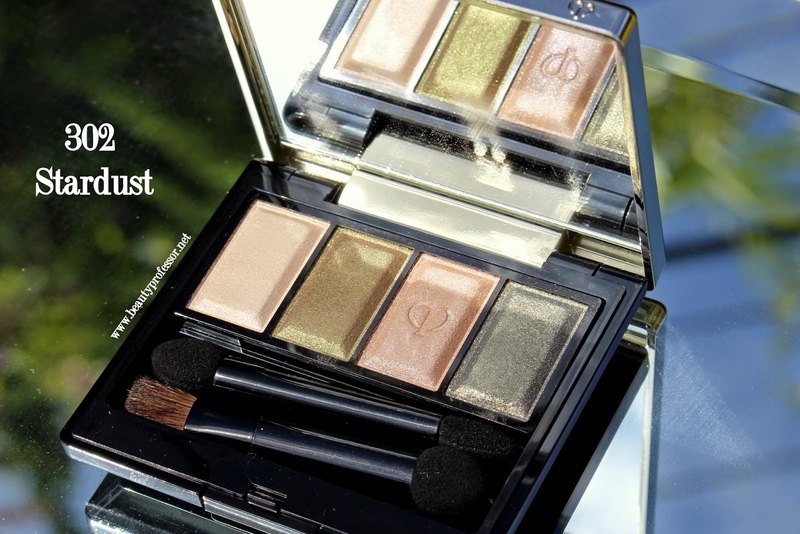 It has SPF 15 but doesn't appear to flash back in flash photography. Overall, I am very pleased with this latest foundation incarnation...it provides much better coverage (for my preferences) than the original Traceless SPF 15 formula and more stalwart lasting power than the Foundation Stick (which was already fairly decent to begin with). 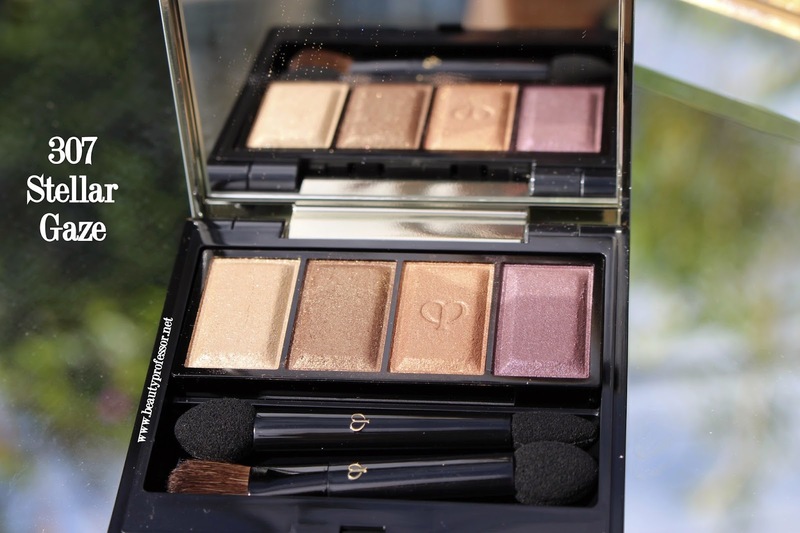 This formula is definitely an asset and sure to be a hit at Tom Ford counters...especially as individuals continue to battle sweaty, heated summertime complexions for the next couple of months! 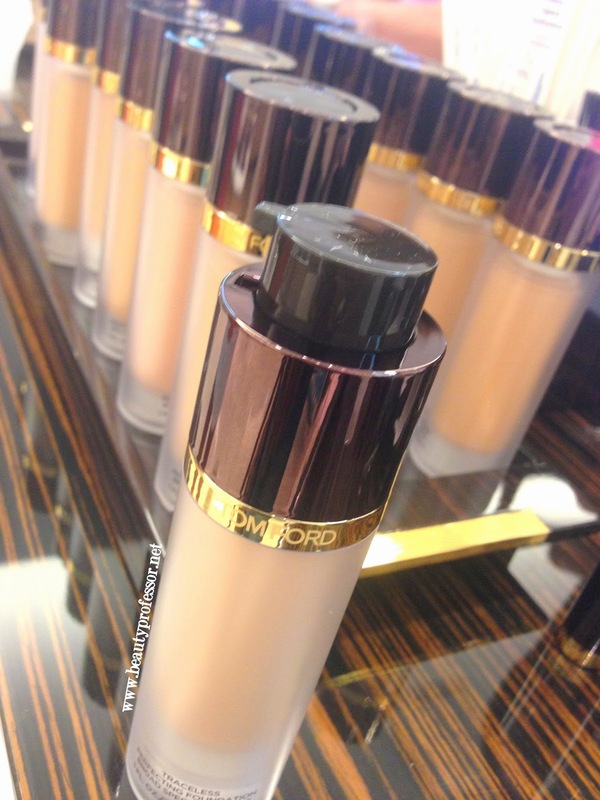 For Tom Ford, A Flawless Complexion is the essential first step to a balanced and symmetrical face. This natural-finish, longwearing, humidity-resistant foundation hydrates and evens skin tone, creating a flawless, supple and pore-less canvas on which to sculpt the features. Its state-of-the-art formulation includes the skin-nourishing Tom Ford infusing complex to help smooth and renew skin and help diminish the appearance of fine lines and wrinkles. 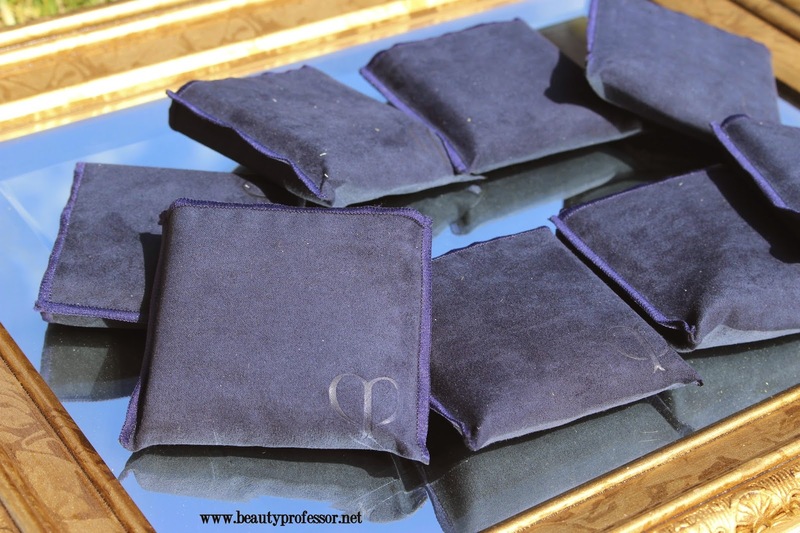 Buildable medium-to-full coverage SPF broad-spectrum sun protection shields skin from UVA/UVB damage. 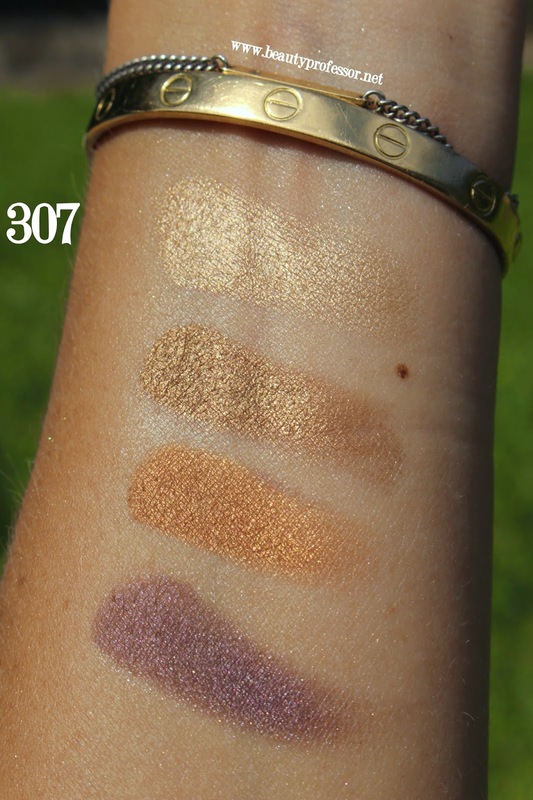 Let the shade descriptions (with their approximate correlating matches in the Traceless Foundation Stick) and swatching begin! 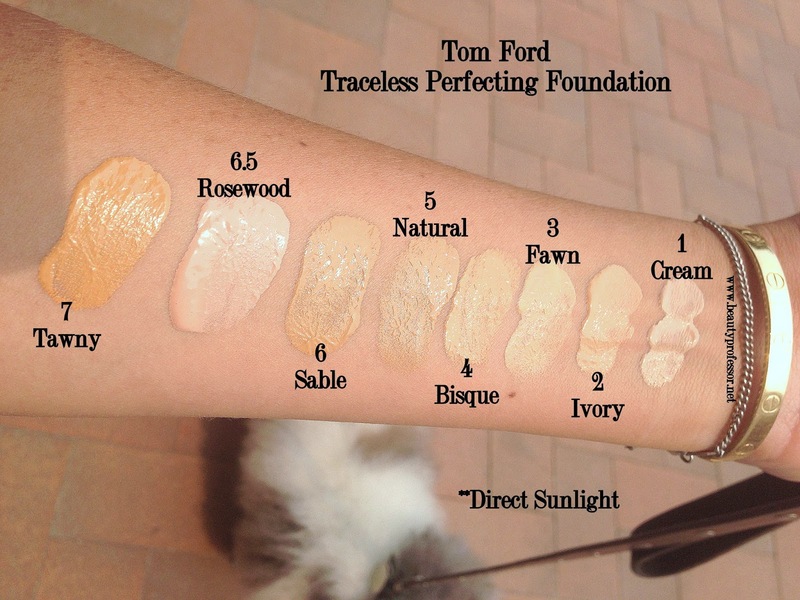 #1 Cream: Very light neutral beige for skin in the N/NC/NW 15 range...the approximate match in the Traceless Foundation Stick is Alabaster. 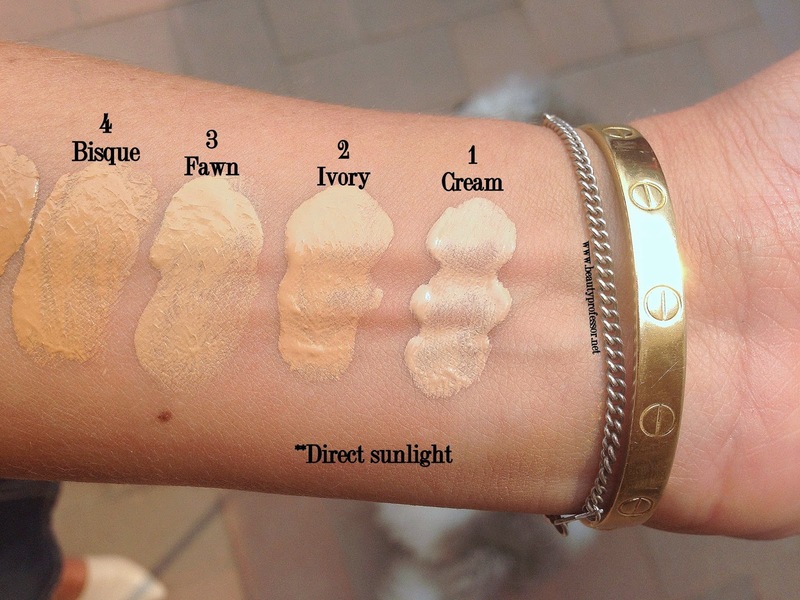 #2 Ivory: Light neutral beige for skin in the N/NW 15-20 range...the approximate match in the Traceless Foundation Stick is Pale Dune. 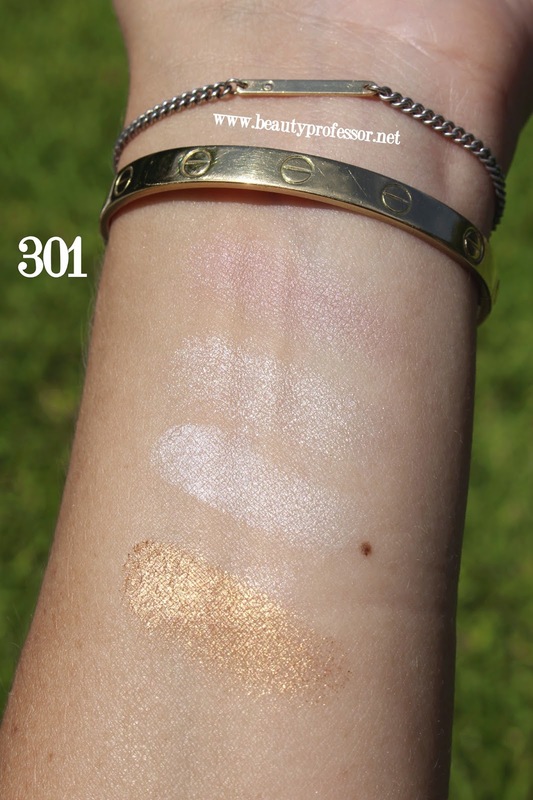 #3 Fawn: Light yellow beige for skin in the N/NC 15-20 range...the approximate match in the Traceless Foundation Stick is Fawn. #4 Bisque: Light neutral beige for skin in the N//NC/NW 20-25 range...the approximate match in the Traceless Foundation Stick is Bisque. #5. 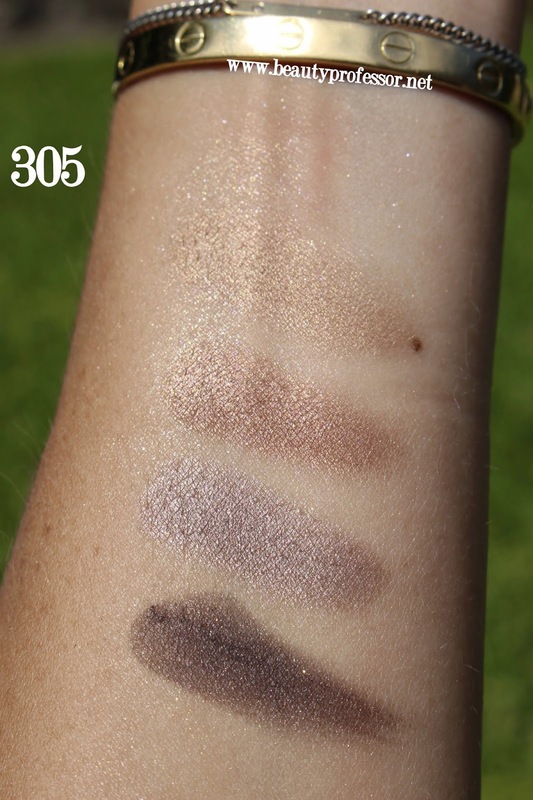 Natural: Light to medium warm olive beige for skin in the N/NC 25-28 range...the approximate matches in the Traceless Foundation Stick are somewhere between Natural, Bisque and Sable. 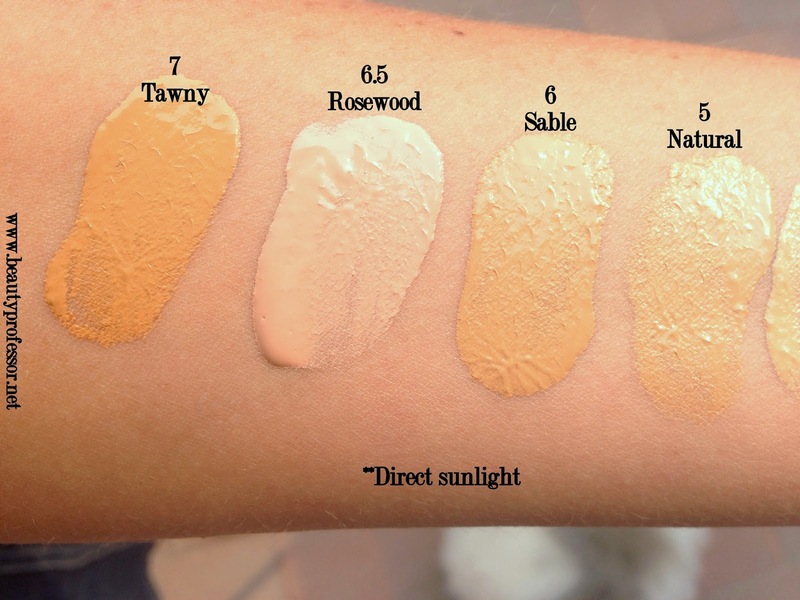 #6 Sable: Medium warm beige for skin in the NC 30 range...the approximate match in the Traceless Foundation Stick are somewhere between Sable and Tawny. 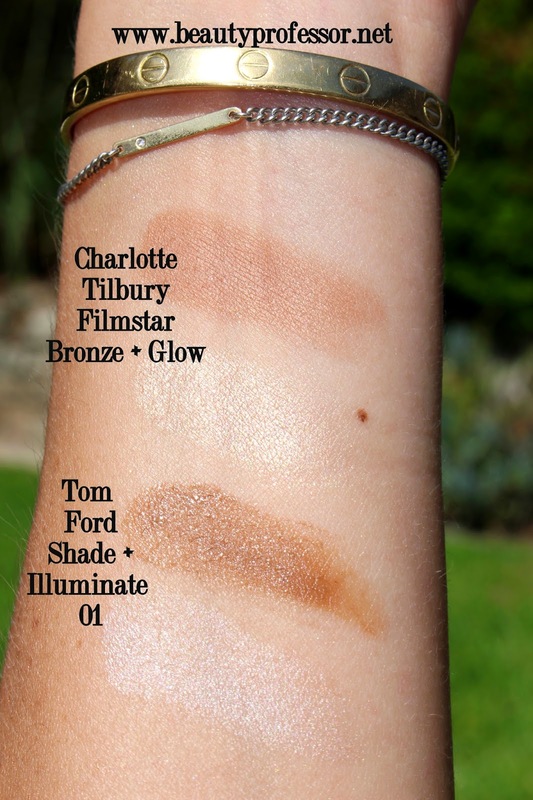 #6.5 Rosewood: Light rosy beige for skin in the N/NW 20-23 range...the approximate match in the Traceless Foundation Stick is Fawn (though Fawn is a bit more on the yellow side). 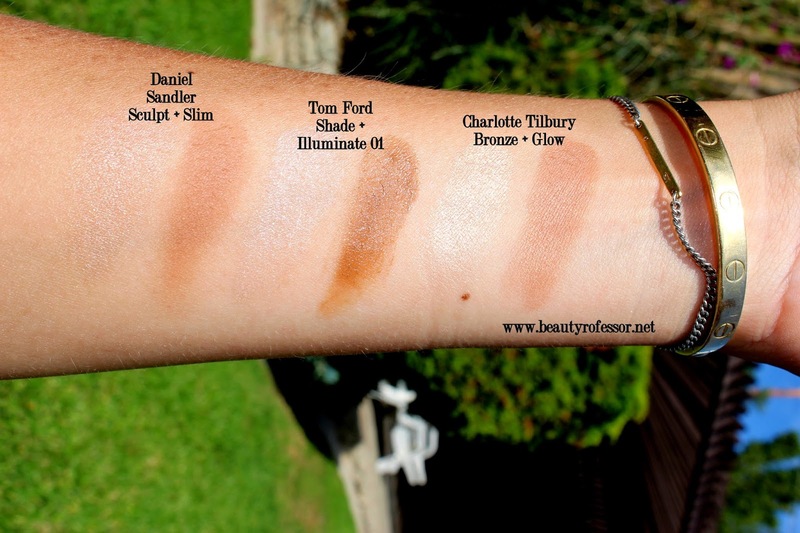 #7 Tawny: Very warm golden medium beige for skin in the NC 30-35 range...the approximate matches in the Traceless Foundation Stick are somewhere between Tawny and Caramel. 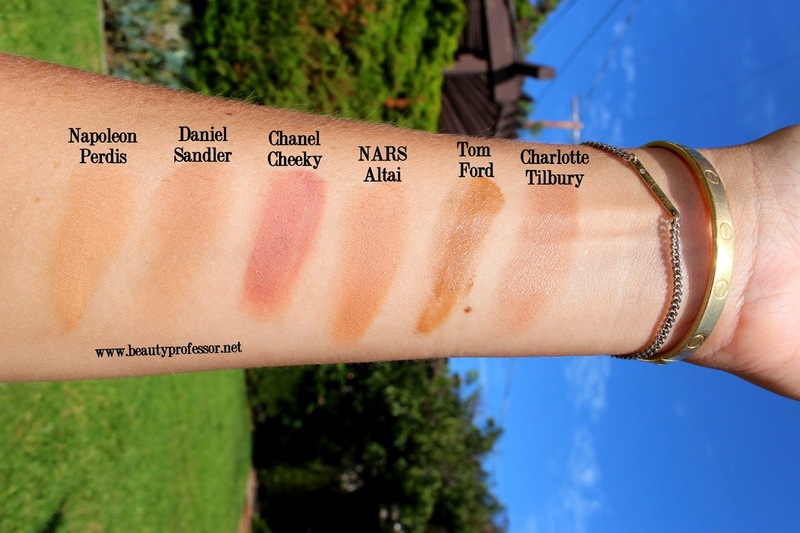 #8 Caramel: Neutral to peachy medium beige for skin in the N/NC/NW 30-35 range...the approximate matches in the Traceless Foundation Stick are somewhere between Tawny and Caramel. 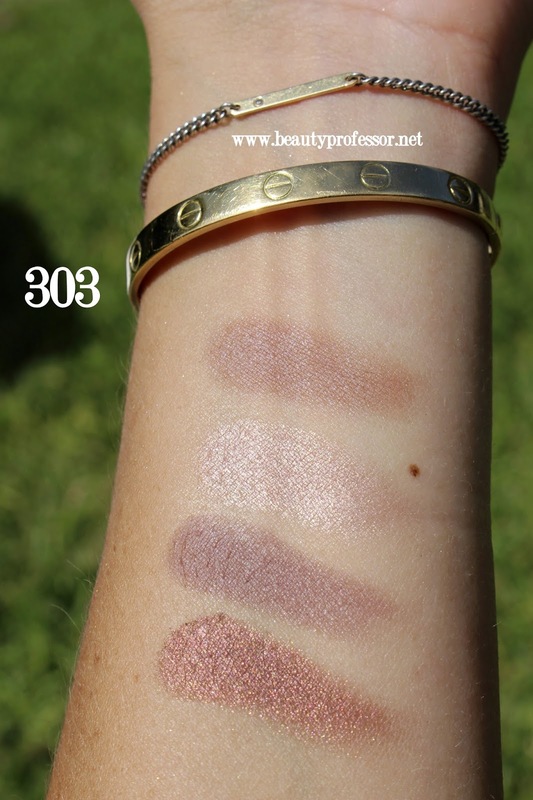 #9 Sienna: Dark neutral beige for skin in the N/NC/NW 35-42 range...the approximate matches in the Traceless Foundation Stick are somewhere between Toffee and Praline. 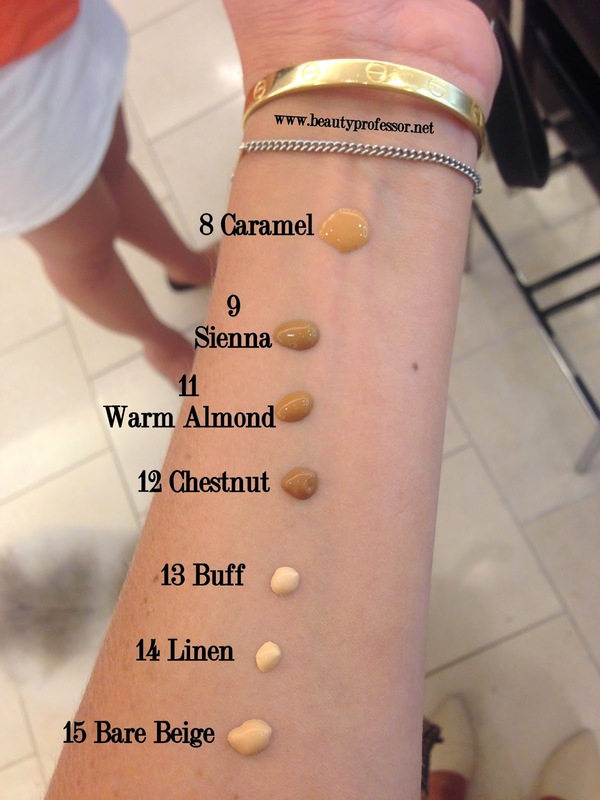 #11 Warm Almond: Dark neutral to warm beige for skin in the N/NC/NW 43-45 range...the approximate match in the Traceless Foundation Stick is Warm Almond. 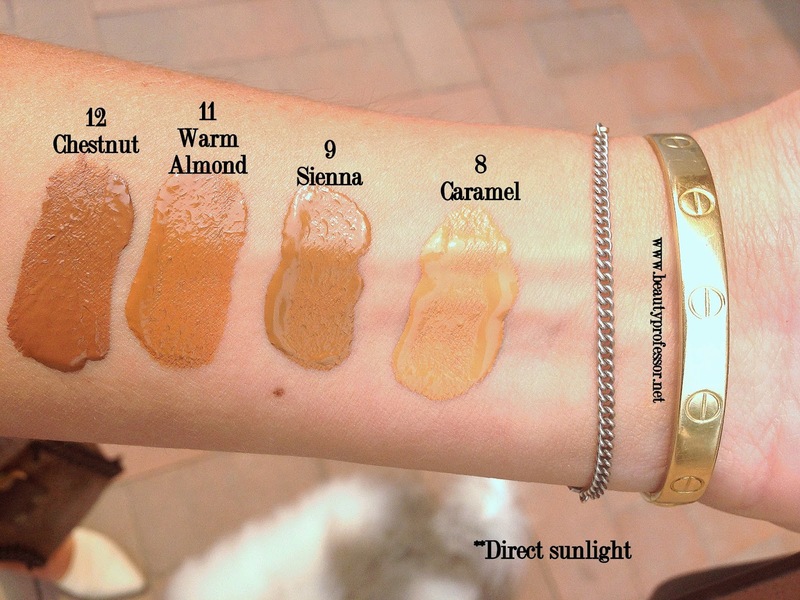 #12 Chestnut: Darkest neutral beige for skin in the N/NC/Nw 45-50+ range...the approximate match in the Traceless Foundation Stick is Chestnut. 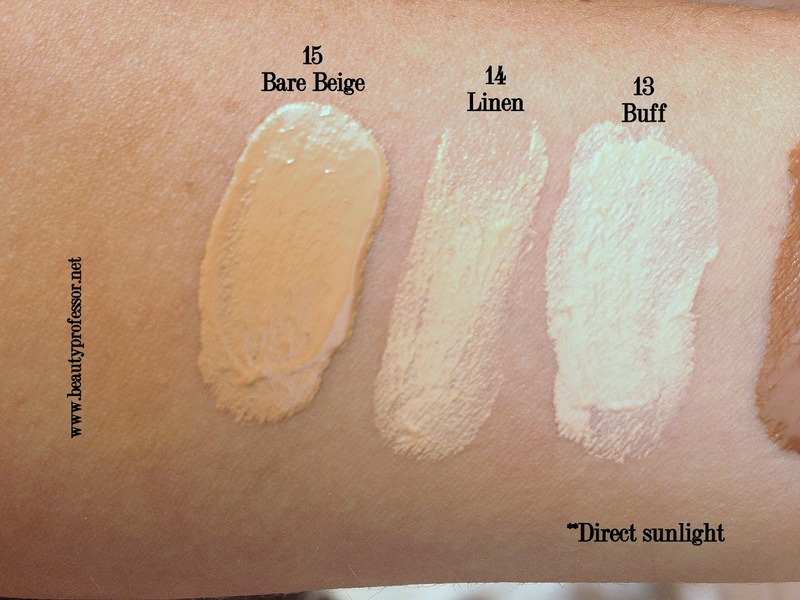 **#13, #14 and #15 are Asia-centric shades with Buff and Linen both being lighter than #1 Cream and #15 Bare Beige slipping into the lineup between #3 Fawn and #4 Bisque. #13 Buff: Very fair neutral beige for skin in the N/NW 10 range...the approximate match in the Traceless Foundation Stick is Alabaster. 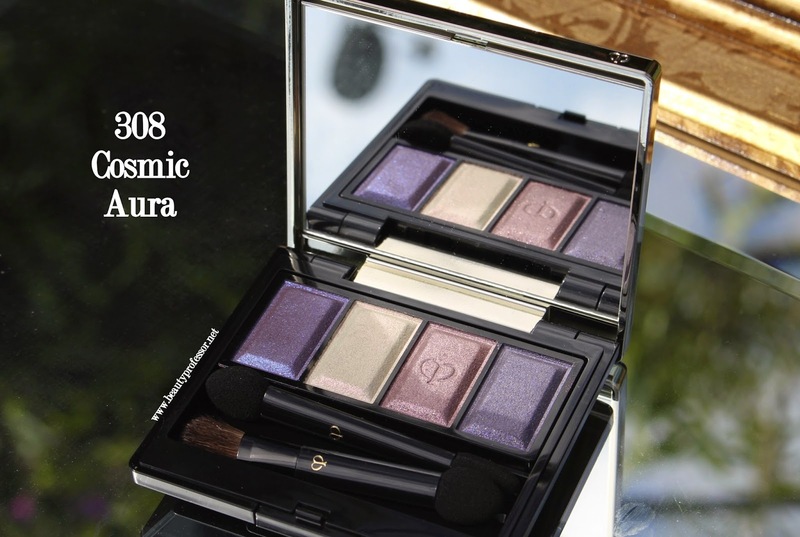 This is the lightest shade in the formula. 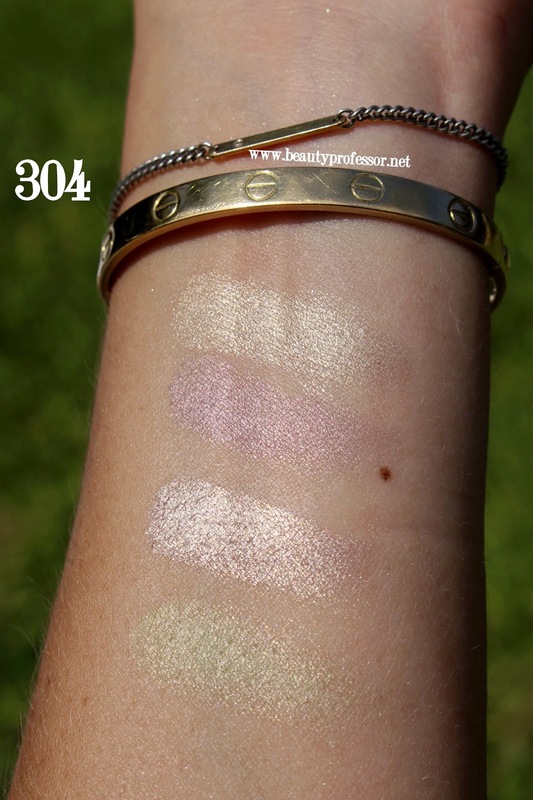 #14 Linen: Very fair yellow beige for skin in the NC 10 range...the approximate matches in the Traceless Foundation Stick are somewhere between Alabaster and Pale Dune (but closer to Pale Dune in undertone). 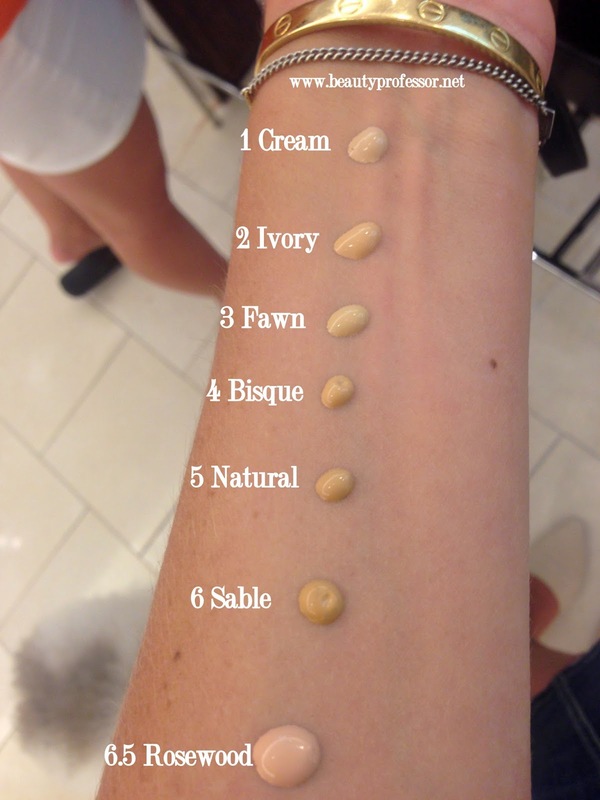 #15 Bare Beige: Light neutral to warm beige for skin in the N/NC/NW 20-23 range...the approximate matches in the Traceless Foundation Stick are somewhere between Fawn, Bisque and Natural. Above: Also wearing a Blank NYC Denim Pencil Skirt and Jenni Kayne D'Orsay Flats. 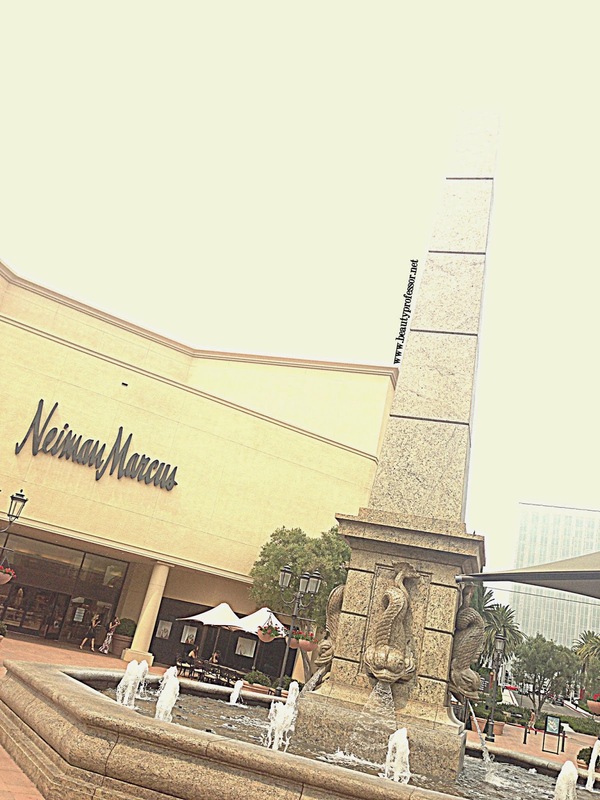 Above: Ahh...the beautiful Neiman Marcus, Fashion Island. 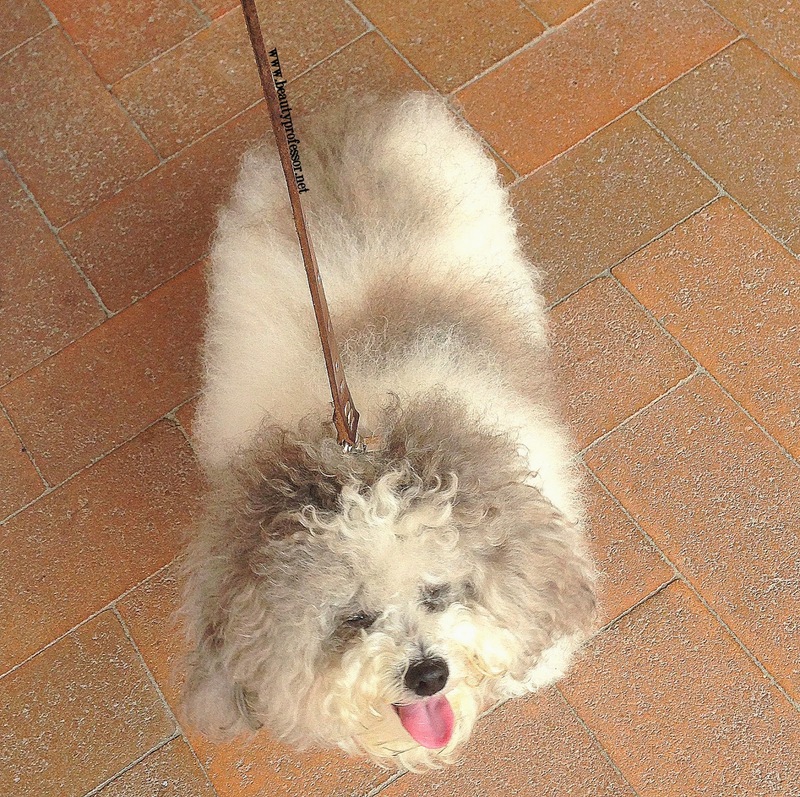 Above: The ever-patient Jethro dutifully waiting while I swatch outside of the store. 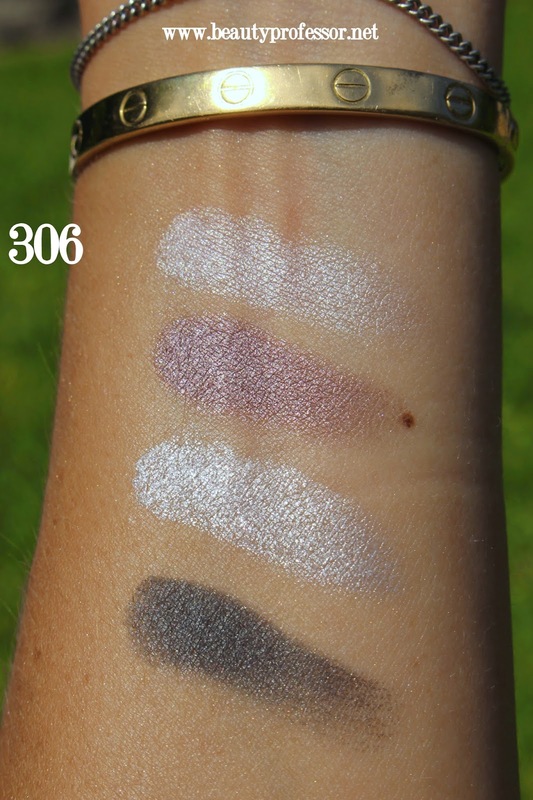 Because there is not a direct correlation between the same shade in the different formulas (though some similarities), I wanted to illustrate the differences with a sample shade, #5 Natural, that happens to be my best match in all three formulas throughout the year. 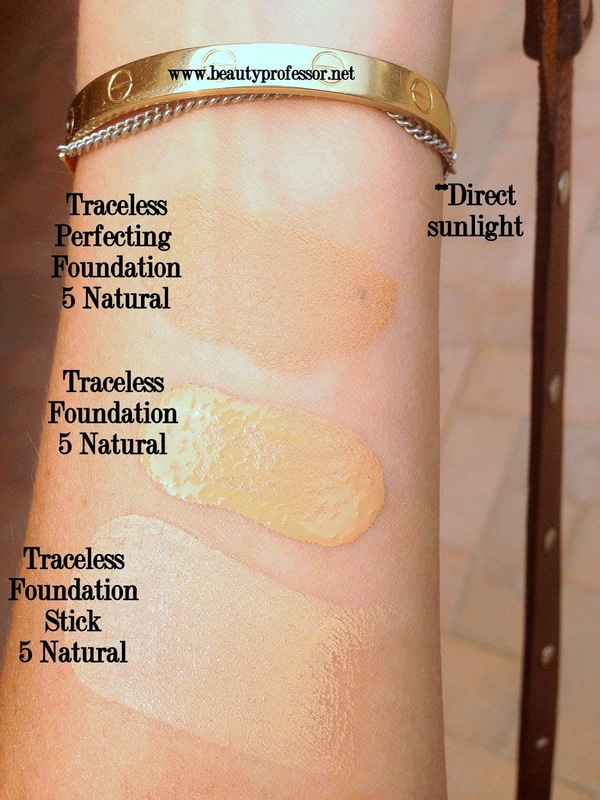 Traceless Perfecting Foundation is approximately NC 25-28 upon dry down. 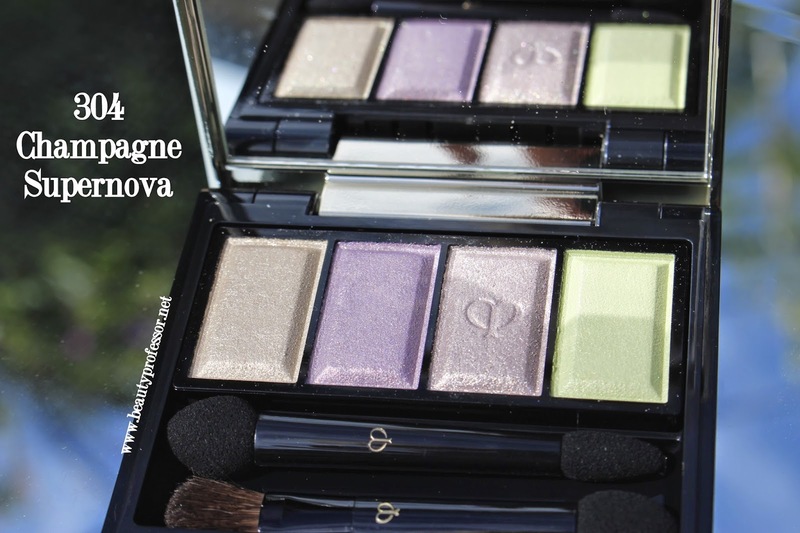 It leans very warm olive and is a perfect match for my summer skin. 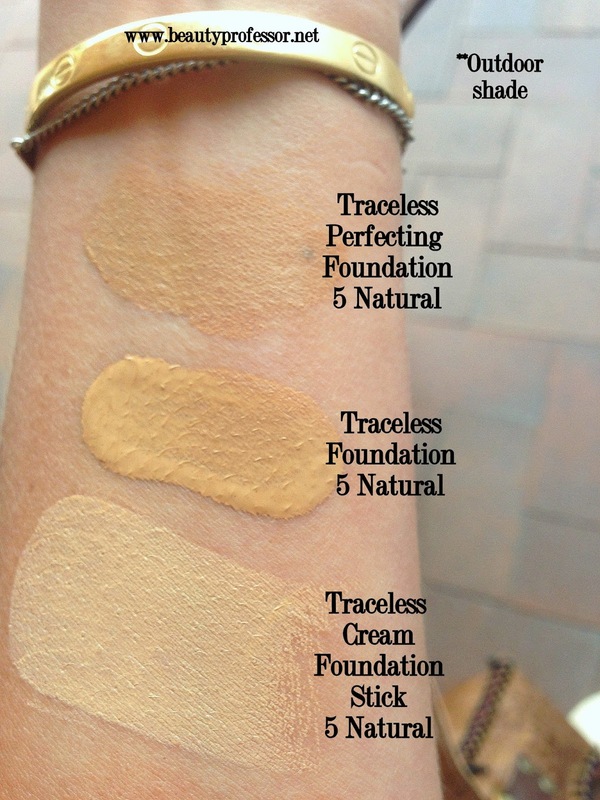 Traceless Foundation SPF 15 is approximately NC 23-25 upon dry down. It, too, leans very warm, but lacks the apparent depth of the Traceless Perfecting version of Natural. 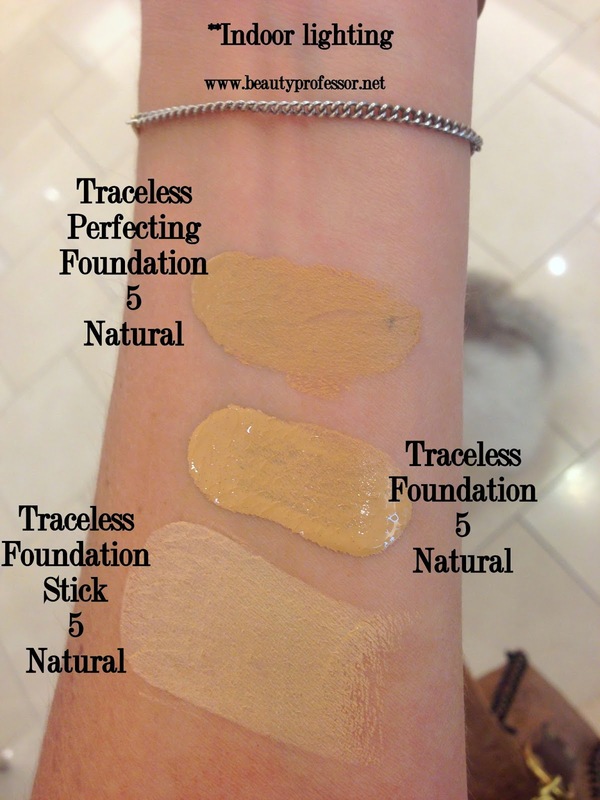 Traceless Foundation Stick is approximately NC 20-25 upon dry down. 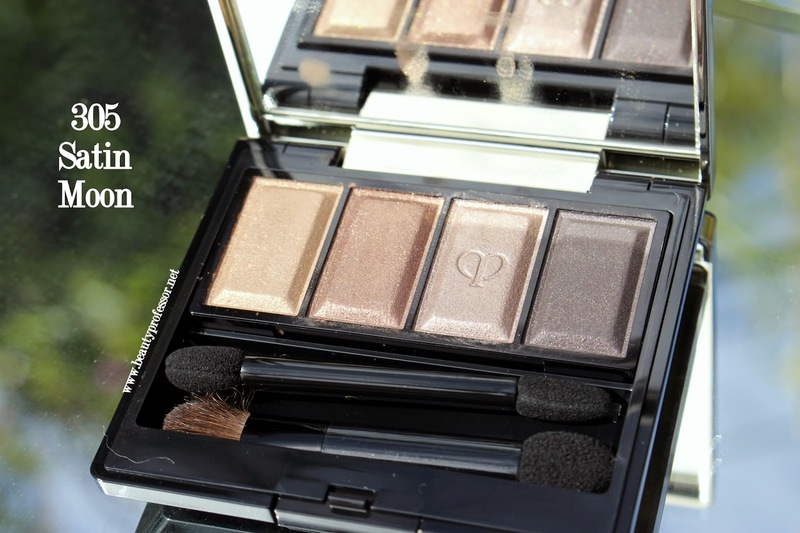 It more neutral and appears MUCH lighter than the Traceless Perfecting and slightly lighter than the original Traceless versions and is my perfect match in the winter and early spring months. 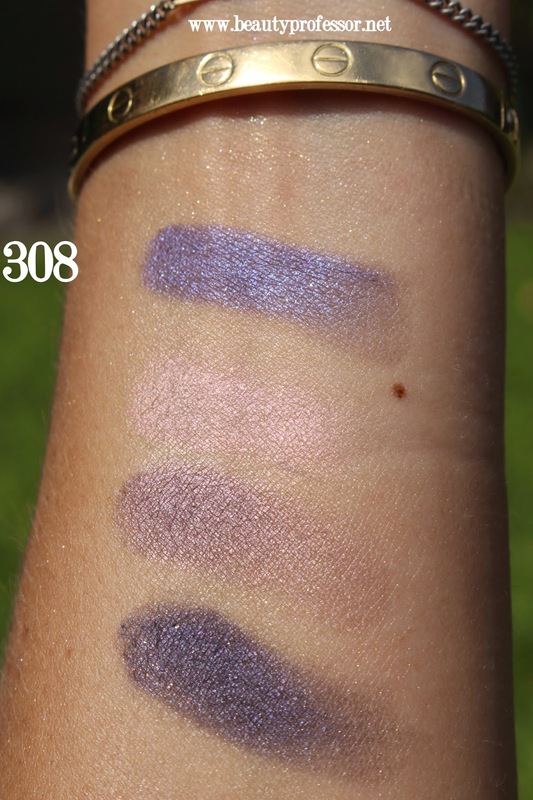 And so concludes this host of swatches! Above: At the end of my Fashion Island excursion...armed with bags aplenty and taking dinner home to my parents and husband ; ) That's "my" kind of cooking! Also wearing a Topshop Crepe Swing Tank, Blank NYC Pencil Skirt and Jenni Kayne Leather D'Orsay Flats. 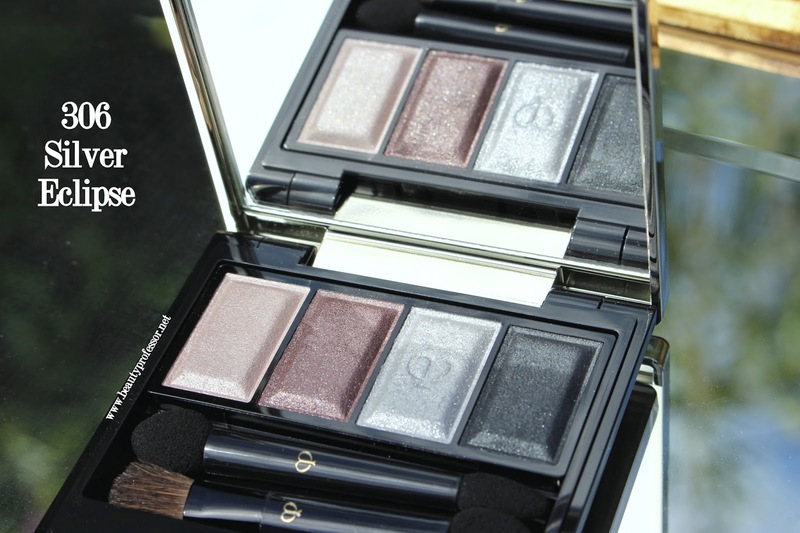 Bottom Line: I am beyond thankful that the timing worked out for me to enjoy a gorgeous day at Fashion Island with a dear friend AND have the chance to swatch this incredible new formula (currently available at Neiman Marcus, Nordstrom and Bergdorf Goodman). Although, of course, more trial will be necessary before I can extend my final opinion on this foundation, I can confirm that upon wearing it for the past seven hours (and it is excruciatingly warm and humid today), my skin looks ultra even, only slightly dewy and completely fresh (without a single touchup...I didn't even initially set this with powder). 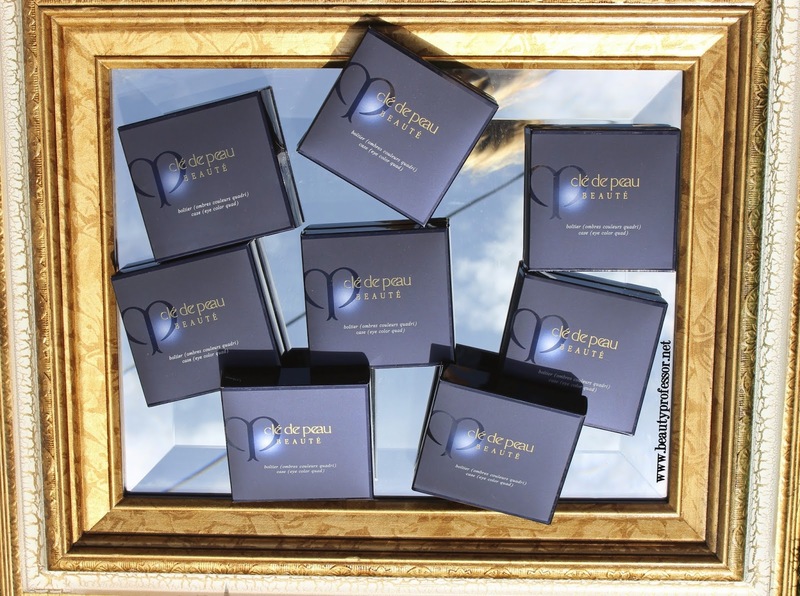 In other words, this medium to full coverage wonder wears beautifully! 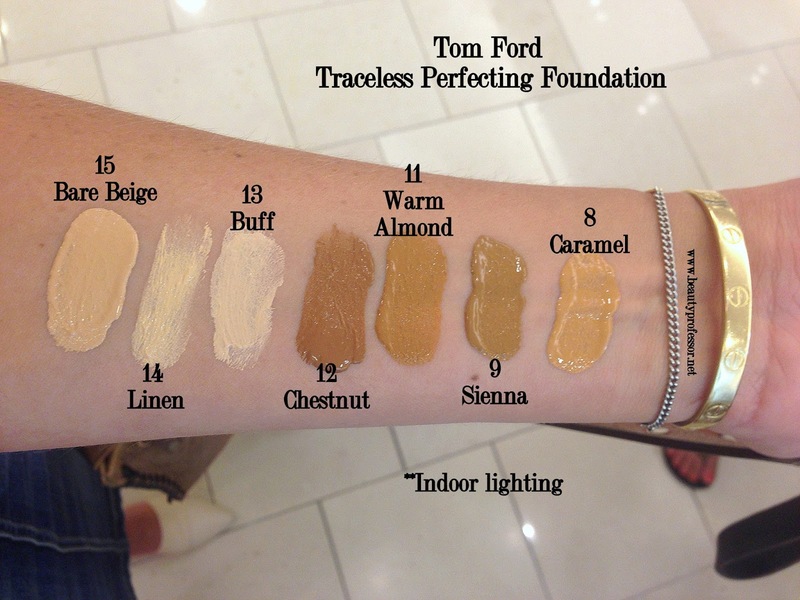 Will YOU be trying this foundation? Thoughts?